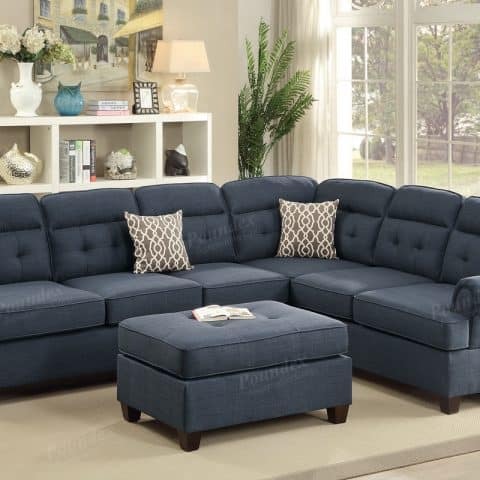 Relax, entertain, and rest on this 2-piece sectional with a simple design to fit a variety of living room styles. 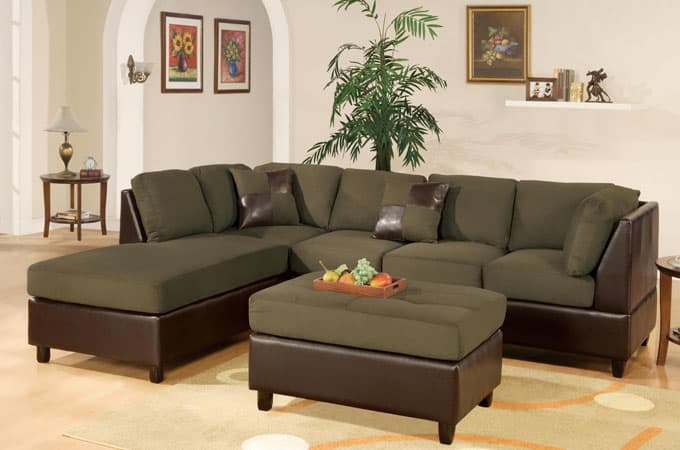 This unit features a modular structure covered in polyfiber with a pullout bed and a functional lower storage compartment. 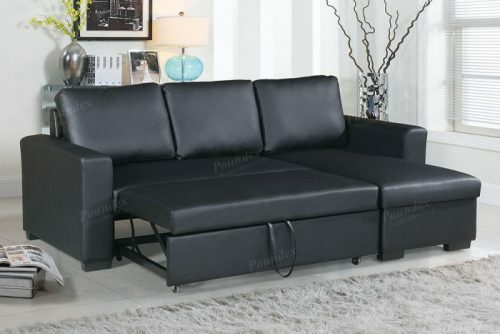 Enjoy easy cleaning and lasting durability with the Bonded Leather. Matching end tables, coffee table, and lamps sold separately.